A woman’s guide to the second half of life. Do you ever wonder if the best of life is in the past? Are you longing for more passion and purpose in the second half of your life? Take a deep breath and prepare for a great adventure as Dale Hanson Bourke resoundingly affirms that midlife is a time for reflection but also a time for action. 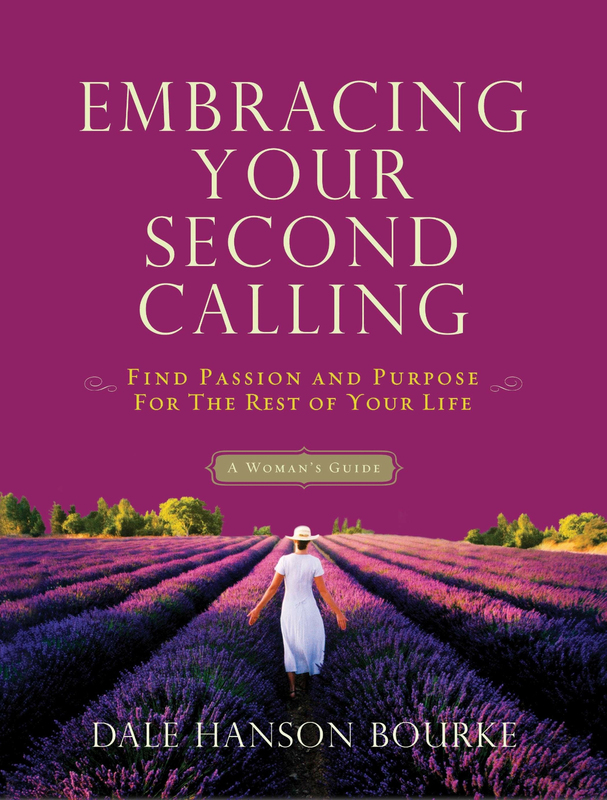 In Embracing Your Second Calling, she challenges women to respond to God’s call specifically for this season of life and offers practical ideas for finding new meaning. For women searching for God’s purpose and passion in middle age and beyond this book offers an inspirational road map to meaning and adventure. 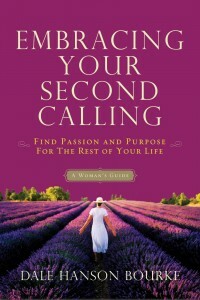 Does Embracing Your Second Calling have a Bible Study Kit you can purchase with a workbook? This is a wonderful book and was hoping to purchase it as a Bible Study for a group. Oh I’m so sorry. Just received this email. No, there’s no Bible study but we wrote the questions to help guide a study.